On Saturday, a football club known as The Imps became the first English professional football team to secure promotion this year. 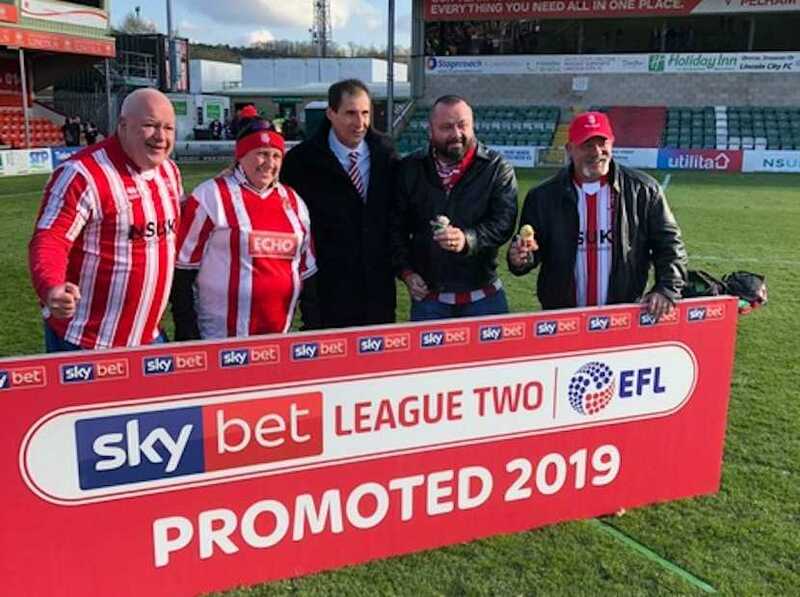 With four games remaining, even were League Two leader Lincoln City to forfeit all of them, the team has won enough points to still finish third, thus guaranteed an upgrade to League One next season. To witness the event, I travelled three hours to a chock-full 10,000 seater stadium in a town of 90,000 souls. Mostly because of the SA connection. Because a fellow Johannesburger is behind the fairytale. He was the catalyst to rejuvenate a club that three years ago languished in the bottom half of English soccer’s fifth tier. Joburg-based former hedge fund manager Clive Nates is the chairman and major investor at Lincoln City FC. While showing me around the ground before Saturday’s game, he was regularly stopped by fans wanting an autograph – adoration usually reserved for players. Imps fans love their new-found winning team. And their chairman. I’m putting the final touches to a podcast of the trip to Lincoln City. It’s an inspirational story. And given the deep SA connection, I’ve a feeling that after hearing the tale, many of my countrymen will have a new “second team” to root for. A little known club now risen from the obscurity to just two steps away from the richest league in world sport. 2017: Promoted to League Two as Champions. 2018: Finished in the play-offs. 2019: Promoted to League One.